This is a rectangular Atlantic Gasoline porcelain sign. This particular Atlantic Gasoline sign is predominantly white with black text. 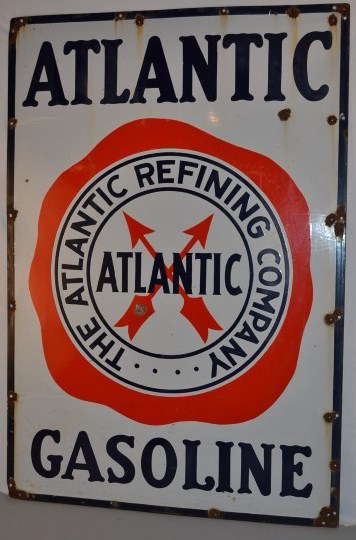 It reads, “Atlantic Gasoline, The Atlantic Refining Company” and features two orange arrows in the center.